As in the deployment of software, the project is still in development as it is deployed; the encounter generates data which helps the client finesse their practice. This finessing happens both in real time between sessions and at the client’s next session with the coach, when there is an opportunity to debrief the experience and reflect on how the elegant plan conceived last time survived engagement with the client’s environment. 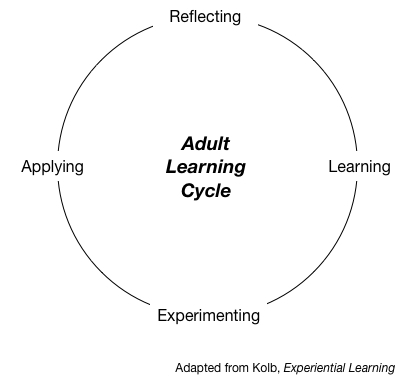 This pattern of learning, experimentation, application and reflection was recognised by the educational theorist, David Kolb, as the typical cycle by which adults learn. Our models of learning are often inspired by our experience of school, where children are treated (rightly or wrongly) as vessels into which new content is poured. But adults come to learning with considerable experience of life. 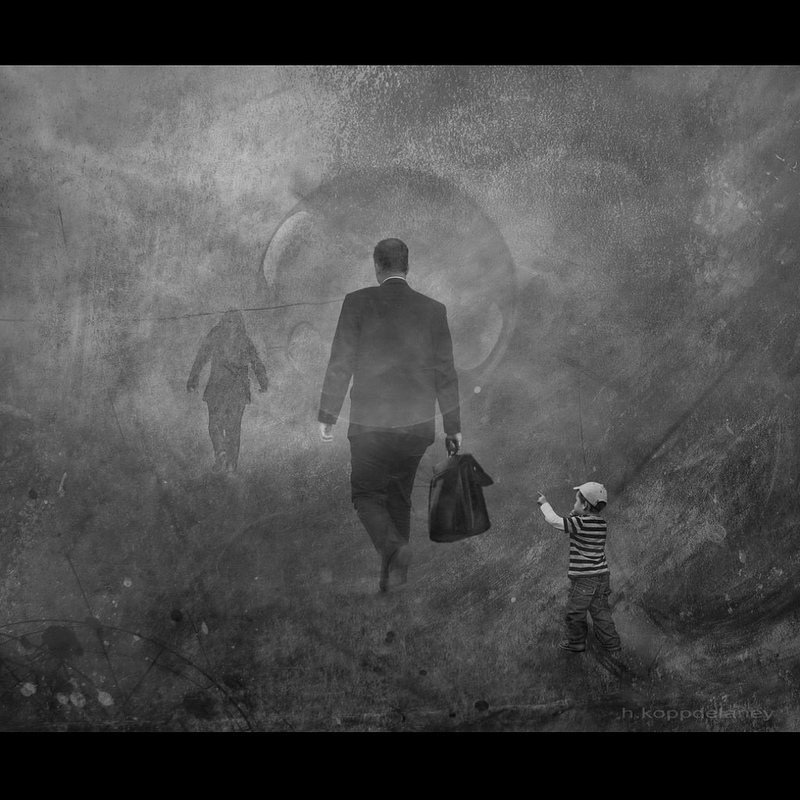 New experience has to integrate with the worldview that they have already formed through their prior experience. Coaching is an ideal platform to support this. Typically, when a client comes into coaching, they expose their worldview and mental models to reflection with their coach. In doing so, the coach brings challenge and introduces new content which prompts learning, hypothesising and experimentation in the client. The client takes the experimentation back to their routine life, testing their hypothesis in the real world, and generating feedback through noticing how people respond to whatever they might be doing differently. Drawing on this data, the client makes adjustments and the experimentation turns into more routine application. Back in coaching, on reflecting on this experience, the client assesses how the learning stood up in practice, integrates new learning into their worldview, and so the cycle revolves. But it’s not just that you, the client, have pre-formed mental models. So do the people around you. When you go out into the world from coaching and try out new approaches, you will be encountering people who have prior mental models about who you are, how you behave and what part you’re supposed to play in their system. The plans you draw up in coaching can’t possibly take account of all the permutations of response that you might encounter when you put your plans into effect. Think of it, in theatrical terms, as the difference between improv and a script. In a script, everyone has a predetermined role they are expected to play. The lines are known in advance. If you deviate from the script, everyone around you will try to get back on-script as quickly as possible. In improv, the participants are on a journey with an unknown destination. There is no script. The principle is that when you offer a gambit, the other person runs with it. The players take their cues from each other, building as they proceed. When you formulate strategies in coaching, you might implicitly imagine yourself to be writing a new script to rehearse on the stage outside the coaching session. But, in fact, you are probably devising an improv scenario. Getting this clear can be helpful: your purpose is to innovate, experiment and adaptive. Your psyche is material to what happens: it can be enjoyable and energising to play improv; but it’s also exposing. How can you get yourself in the right frame of mind? But the next question is: will the people around you, the system in which you operate, be playing improv or will they be performing a script? Are they likely to welcome you trying out new stuff and support you in that? Or will they push back, trying to return you to the box where they are accustomed to finding you? Most likely, the latter. So you will need to be prepared to offer your gambit repeatedly, perhaps adapting it, so that iteratively you hone your intervention and the people around you adjust their expectations of you and how they respond. But, even there, the complexity does not end. For all these players in your drama are functioning within wider systems which themselves are in flux. Right now, with familiar geopolitical assumptions breaking down and Britain, in particular, at sea regarding its place in the world, all of us are working in contexts which are conditioned by wider uncertainty that is bordering on chaos. So, while you are attempting to evolve your new strategies, many of the others you encounter might well be trying the same. It all adds up to significantly variable geometry of the elements around you. Making progress with your aspirations is more a matter of trial and error than executing a well thought-through plan. You can see why it might help to have a quiet space to which to return to reflect on your impact with a disinterested other. But you don’t need to wait till your next coaching session to make sense of it all. It’s a good idea, if you can find the time and space, to institute a reflective practice as you go about trying to realise in your daily life what you bring to coaching. Simply keeping a journal works well. But if you’re not inclined to writing, then mind mapping or drawing might work. The main thing is to get beyond simply thinking through what you did and what happened as you tried out new possibilities. Recall also what you were thinking and feeling at the time and push your reflection to the level of working out what you’ve learned from the experience. What might you try differently next time? If you’re not making the progress that you had hoped for, consider what is holding you to your old routine. The psychologist Robert Kegan speaks of our “immunity to change” whereby, although we may be convinced intellectually of the need to move into a different place, we experience powerful emotional ties to the status quo that we might not have taken into account. What are the pay-offs that you enjoy by sticking with the habits that you’ve determined you need to adjust? By reflecting in this way, you are anticipating some of the ground you might cover with your coach when you next meet. You are clearing the way for a session which might go deeper, be more searching, than might otherwise have been the case. But you are also cultivating your capacity to self-coach. When the coaching contract comes to an end, you will have established the momentum to keep learning and keep developing. This is how you build a foundation for responding with equanimity and elegance as the world around you continues to throw up new challenges on you path.